Exciting news! 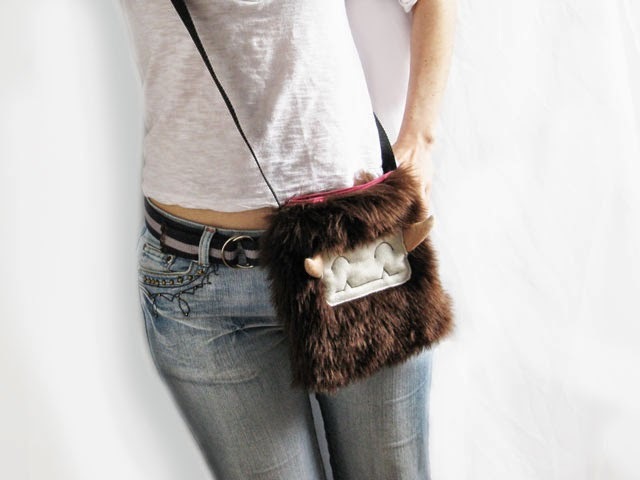 I have some new fun and furry cross body bags now available in my shop! Here's a few photos to see them in action. If you'd like to buy one, you can do so here. They're retailing for $45. If you would like to get them in a different colour, please message me on my contact page and we'll work something out. 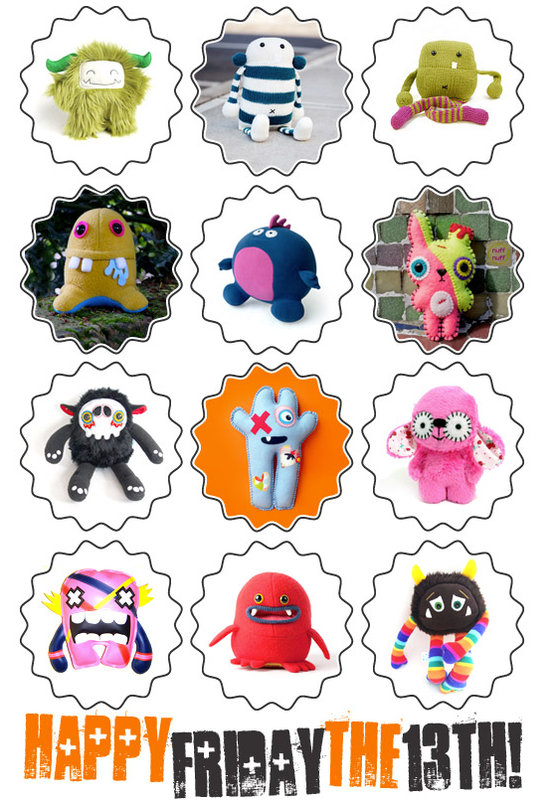 You can check out my other listings where you can design your own monster. There are photos of furs you can choose from. 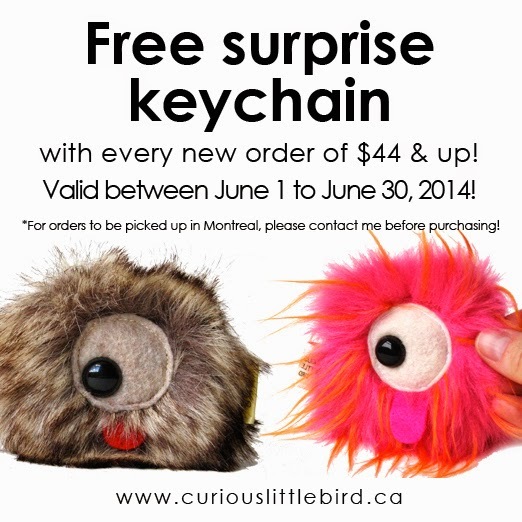 The best part is that for the month of June, I'm offering a FREE KEYCHAIN with every purchase!! Brand new products coming soon! Thanks for being awesome and patient with my lack of posts. I feel that sometimes I just don't know what to write about. I have a few drafts, and when I can find some time, I will finish those. In the meantime, I've been working on some new ideas! 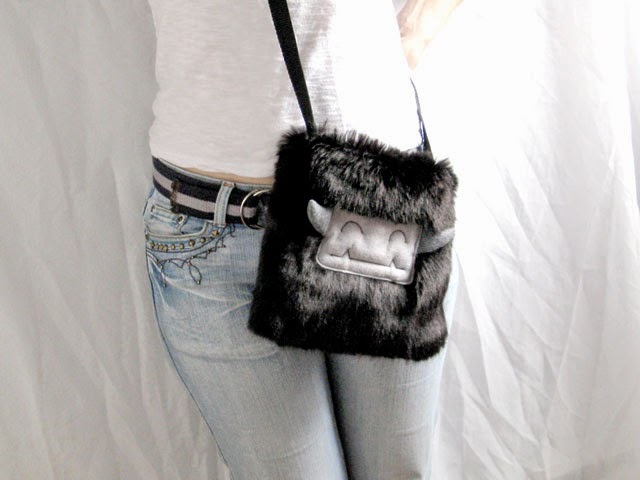 I'm currently in the process of creating some furry monster cross body bags. They'll be very unisex. 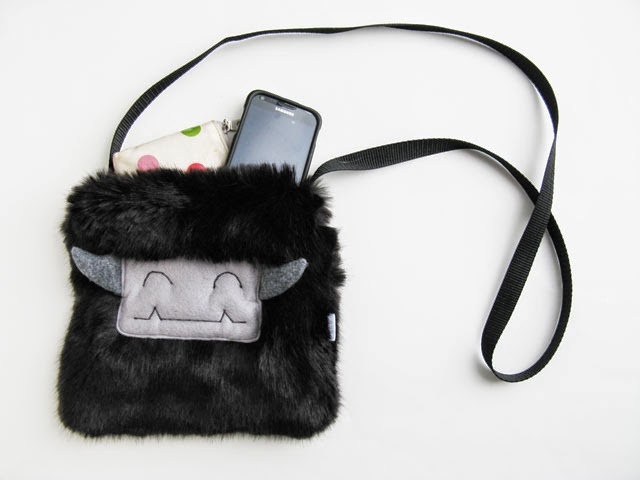 The bags will not be very large, about 6 inches square, will have a monster face on one side on fur, and either the back side will be furry or a matching faux leather/vinyl fabric (very vegan and animal-friendly) on the other side. 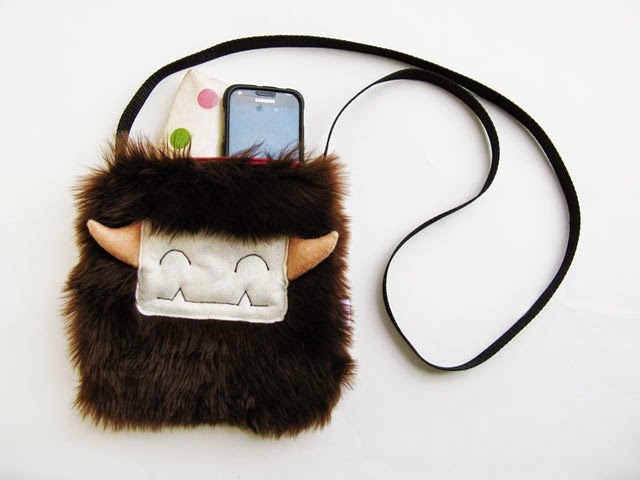 This means for those who love the monsters, but want to be able to hide the face and can still have the monster bag without showing the world it's fun! I may make a few that are all furry, and some that are half fur, half vinyl fabric to see which ones get better reception. Beyond bags, I'm also thinking about wallets, tablet sleeves (more of a protection sleeve) and kindle / paperback sleeves (to protect your kindle or book in a fun furry pouch). I haven't yet developed prototypes, but they're coming along. Let me know in the comments what you think of these ideas. 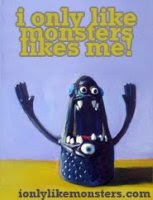 If you have any other ideas you'd like to suggest for fun monster-related useable items, please post a comment below!